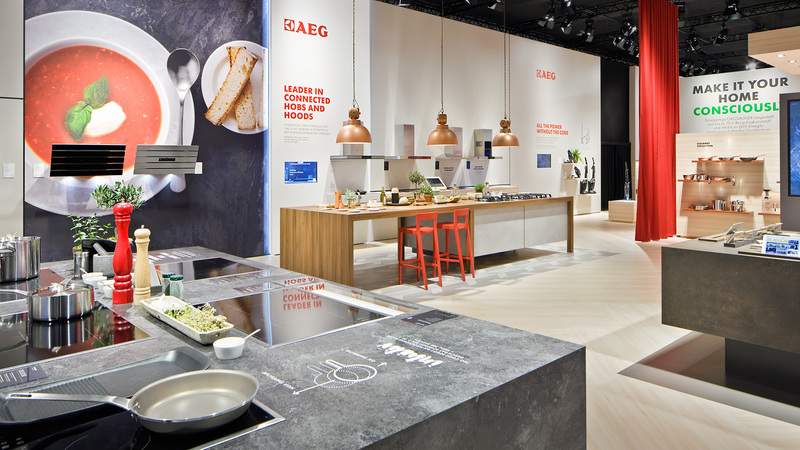 D‘art Design Gruppe again arranges the new fair design for its customer AEG/Electrolux. 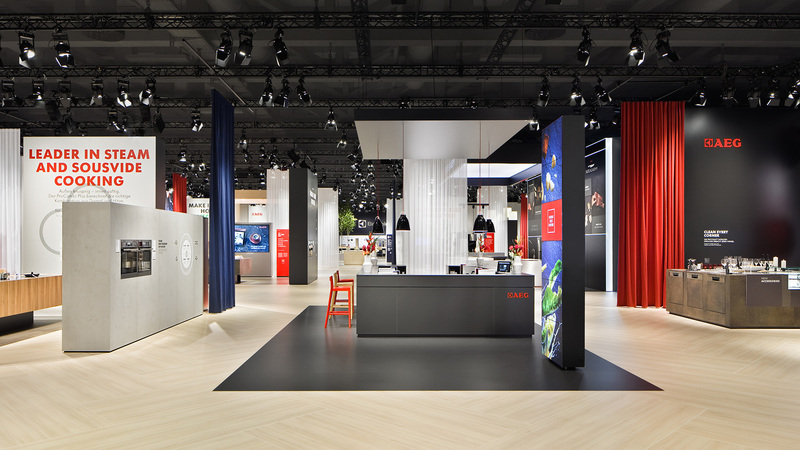 The 3,000 sqm large fair design was completely dedicated to story-telling: A narrative experience tour evolves around the topic areas “Taste” and “Care” and puts the devices with smart functions into the spotlight. 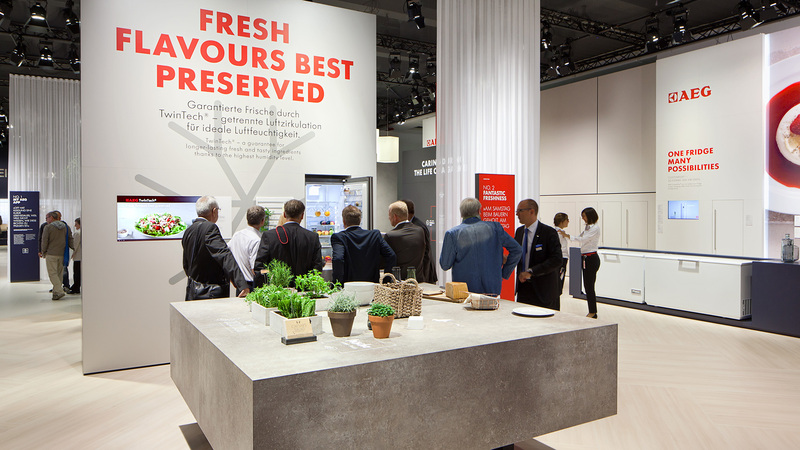 „Taking Taste Further“ is the motto of the AEG world of taste. It presents the perfect preparation of the kitchen classic „Caesar Salad“ that was newly interpreted for AEG at five experience stations. 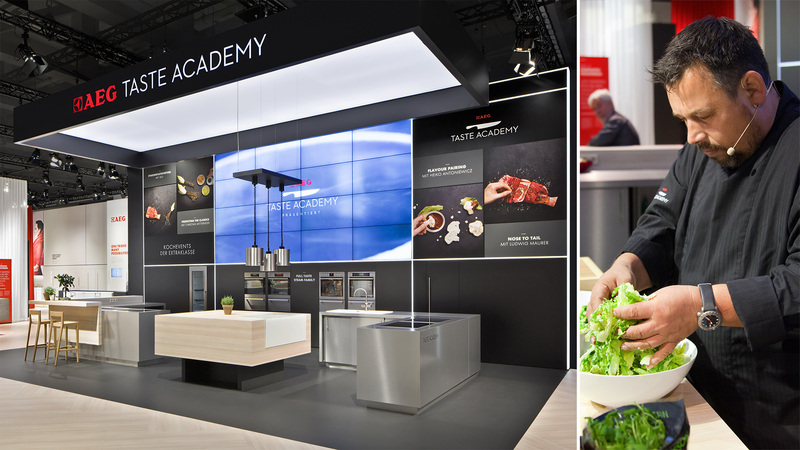 IFA visitors are able to experience, how the famous “Caesar Salad” can be brought to perfection by optimizing all preparation steps and by using the smart AEG kitchen appliances. 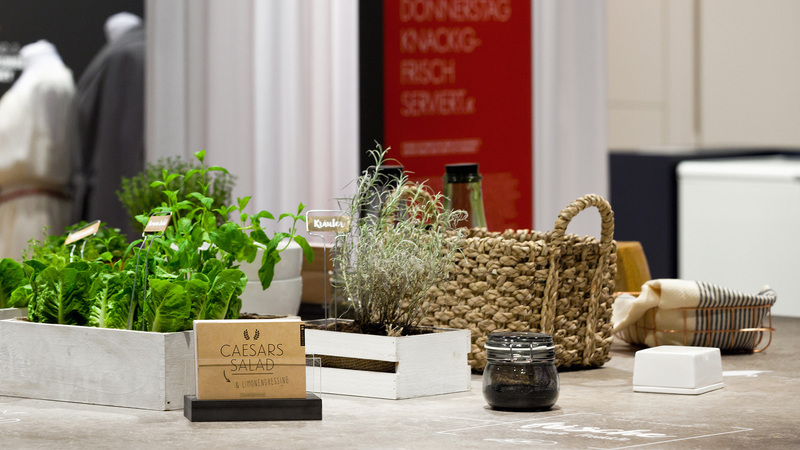 The culinary culmination is the “Taste Academy” in the fair stands centre where the “Caesar Salad” is prepared in a live show by the AEG top-chefs and it can be tried, too. Simultaneously to the Taste tour visitors can also opt for a tour on the topic Laundry Care that starts in the entrance area. “From Just Cleaning to Caring” shows how the life cycle of a piece of clothing can be sustainably prolonged and how favourite garments can be permanently protected. 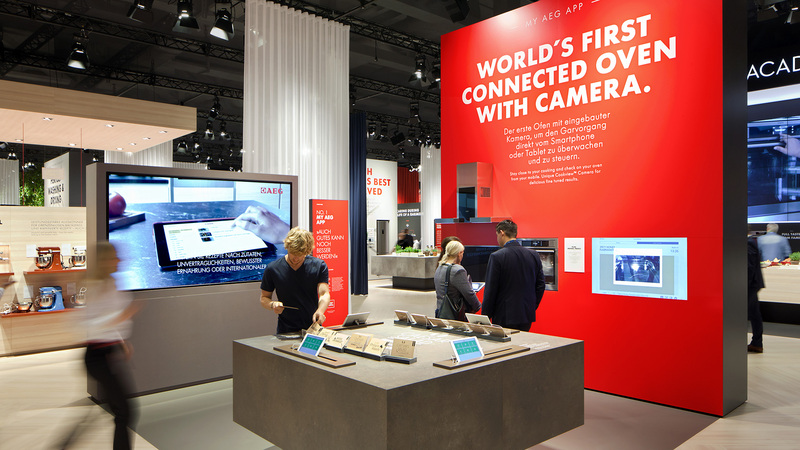 Apart from this, the trend topic Connectivity also stands in the spotlight of the IFA presentation. 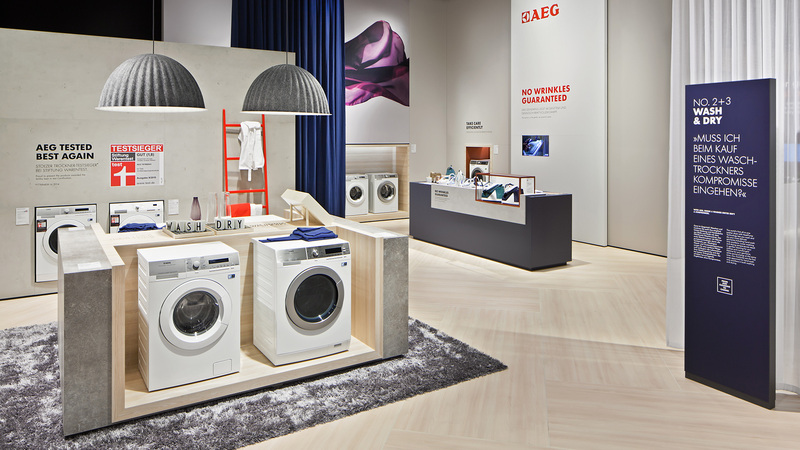 Connectivity is within reach with the App “My AEG” that celebrated its premiere in Berlin and that promises even more connectivity and support for the consumer when it comes to everyday cooking and washing. Together with the fair visitors AEG eventually takes a glimpse at the future in the area “Smart home: there they experience how connectivity can make their everyday life easier and how it can enrich it. 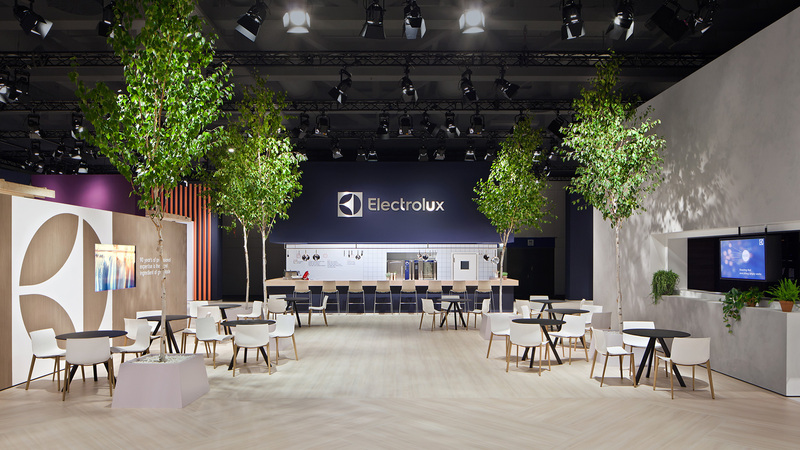 The AEG brand world is finally complemented by the 450 sqm large brand exhibition of Electrolux in the new Corporate Design.